Oregon is a great place to take pictures. There are so many wonderful opportunities to get that perfect shot, especially if you hit the road in an RV. It allows you to completely immerse yourself in your craft, enabling you to get the kinds of pictures you just can’t seem to get when you’re back at home. That doesn’t mean you’re guaranteed to get good pictures. 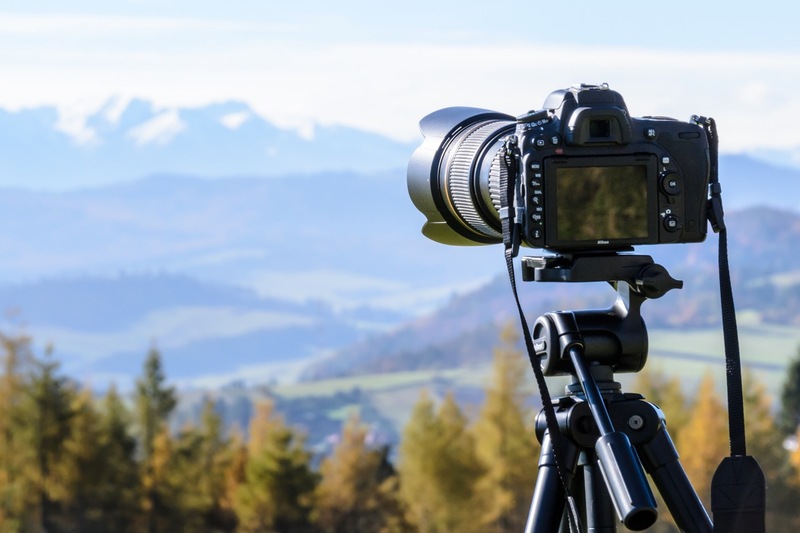 In order to boost your chances of getting that perfect shot, make sure you follow these tips when you’re on the road in Oregon. It’s true that you can find great shots anywhere you go, but you can greatly increase your chances of getting the perfect picture if you know where to go to get it. When you think of taking photographs in Oregon, outdoor locales come to mind. It’s true that there’s no shortage of scenic beauty in Oregon, but you shouldn’t forget about the city! Taking photos of the city is a lot different than taking photos of natural spaces, but they are tricks worth learning. Especially since cities like Portland, Salem, and Eugene contain many great photographic opportunities. One of the best things about taking pictures in the city compared to taking pictures out in the woods is that it’s a lot easier to take pictures at night. Many of the most striking city photographs are taken after the sun goes down and the city lights are allowed to shine. Beginning photographers are always looking for clear, sunny weather when it’s time to take photos. More experienced photographers know the best shots come under some of the worst conditions. Don’t think you have to be stuck in the RV when it starts raining. Make sure you protect your camera, but don’t be afraid to head outside and catch the rain glistening on the leaves. Snow isn’t common in Oregon, and when it does snow, it doesn’t stick around. That can provide photographers with some great opportunities to catch waterfalls, fields, and the city in unique ways, even if it does mean you have to bundle up to get the shot. The easiest time to take photographs is during the day. Unfortunately, just because that’s the easiest time doesn’t mean it’s the best time. When it comes to natural lighting, you simply can’t beat the early morning when the sun is rising or the early evening when the sun is setting. If you want to get the best shot, plan to get up early in the morning or stay up late to get it. You don’t have to pick one over the other either. If your RV trip is all about getting the best photos, consider getting up early in the morning, taking a nap in the afternoon, and heading back out in the evening. If you get lucky, and the sky is overcast or cloudy, you may be able to get some great shots during the day. Taking photographs in the shade is also an option if you don’t want to waste your entire day waiting for that perfect evening light. May photographers like to allow nature’s beauty to shine through in photographs. That’s great, but why not have a little fun with your shots? That can mean something as simple as taking a picture from a different point of view by laying on the ground or using an extension arm. You can even ask people to get in the shot. Don’t be afraid to be a little quirky with your photographs! For example, one photographer adds plastic dinosaurs to his shots. Some look like the photographer jumped in a time machine to get the shot, while others, like the shot of the dinosaurs looking out the airplane window, are just plain silly! It’s true that great photography takes plenty of practice, but knowing a few tricks of the trade can help too. The next time you find yourself on the road in Oregon, boost your chances of getting that perfect shot by following the tips on this list. Next Post A successful influencer strategy: how do you start?